Transpet UK & Europe Pet Transport, Pet Shipping and Pet Relocation services by road to Europe and throughout the UK, including vet trips, emigration and family reunions. 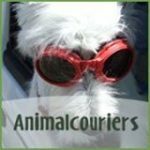 Our pet courier vehicles are fully fitted for your pets safety and comfort. We care about our precious cargo “Pet Transportation” is our life. Pet Courier quote at our website. For more about our Pet Transportation service please call customer service below.